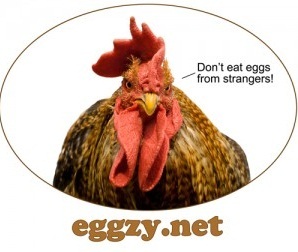 Today we are pleased to introduce you to Eggzy, one of our valued Natural Parents Network sponsors. As many of us begin focusing more on our food, and on our social and environmental responsibility when it comes to how our food was raised, backyard chickens – just one small part of the urban homestead movement – are becoming an increasingly popular hobby. 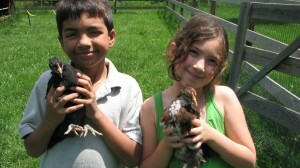 As any hobbyist chicken owner will tell you, raising chickens isn’t just about the eggs. 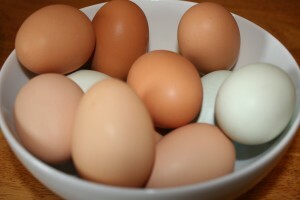 You can run to any grocery store or bulk discount shopping store and buy eggs. Raising chickens is about the quality of the eggs, it’s about working in harmony with nature and the cycle of life, and it is about taking responsibility for our lives and our food. It is easy to disassociate with where our food comes from if we only ever see the meat packaged on a Styrofoam tray or the eggs in cardboard egg cartons. We can overlook the conditions in which most commercial animals are raised or what they are eating. Getting to know where our food comes from makes those animals real. Knowing where our food comes from means we can step up and take active responsibility and participation in those conditions. It means we can have more control over the quality of our food. Owning a backyard flock isn’t an attainable goal for everyone though. Many cities are cracking down with ordinances banning or limiting chickens. Not everyone has the space or time to raise chickens. Raising chickens are not for everyone. So what are those people who can’t or don’t want to raise their chickens to do? Eggzy has a solution. Mark and Sharleen Thompson, after beginning their family, took an added interest in their food. They realized how important the quality of their food, and their children’s food, was. So they packed up their family and moved from Brooklyn to New Hope, PA. They wanted to grow their own garden and raise their own chickens. They wanted to take take back some of the control over their lives. Mark’s background in media and a propensity toward statistics had him tracking their new feathered friends with a database he designed. He used the database to track their breeds, egg production, the cost of feed, and cause and effect of conditions. As their flock grew and began producing more eggs than their family needed, he altered the program to alert friends and family when they had extra eggs. So began Eggzy. 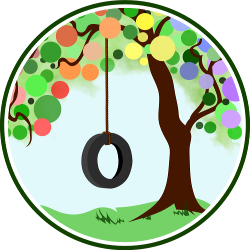 Eggzy has grown from when Mark and Sharleen first started it and continues to grow as new members join. Eggzy members come from all walks of life, from urban to rural, from conservative to liberal, but they all have something in common: they all keep chickens. Individuals keep chickens for a multitude of different reasons. On Eggzy, chickens bring them all together in a community that is by essence a food cooperative that is enabling families, with and without chickens, to have more self-reliance in regard to their food. There are many benefits to using Eggzy for flock owners, individuals looking to find eggs, potential owners, and the overall community. Chicken owners can track their flocks, gauge future egg production, alert potential customers of egg availability, and calculate what to charge for eggs. This enables a transparency between flock owners and the public which not only provides customers with am awareness of the process and potential participation, but the Thompsons think that having this information available may sway more cities to change ordinances, allowing more families to raise their own backyard flocks, as evidence shows that responsible chicken owners do take care of their chickens and that the flocks are not a nuisance or health hazard. For those of us without our own flocks, we can easily find backyard chicken owners wishing to sell their excess eggs by doing a quick flock search on Eggzy. Not only does this feature allow us to find eggs, it allows us to take responsibility for our food. When you go to a location and see where that food was raised or grown, it gives you a better picture of the process involved. Our children can better understand food when they are part of the process. They can meet the animals and see the conditions those in which these animals were raised or where food was grown. In a world where we seem to be focused on connection through the internet and cell phones, we have forgotten about our local connection with our community and about the connection we share in nature with our food and environment. Eggzy is one step to re-connecting us. Food responsibility starts at home, whether we raise and grow food ourselves or make decisions regarding where we spend our money. The decisions we make affect ourselves, our children, and our world. 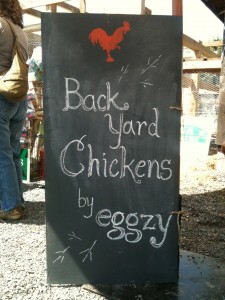 To learn more about Eggzy and their contributions to food sustainability, check out their blog. You can also connect with Eggzy on Facebook. Looking for more information regarding the backyard chicken movement or how to start your own flock? Check out Backyard Chickens. Eggzy and backyard Chickens are not associated together but share a common goal of promoting the urban homestead movement, backyard chickens, and a cooperative community initiative towards self-sustainability. I love Eggzy! We have our own flock, and from our end of things, the tools they have on the site to keep track of egg production, calculate eggs per week, etc. are really handy.